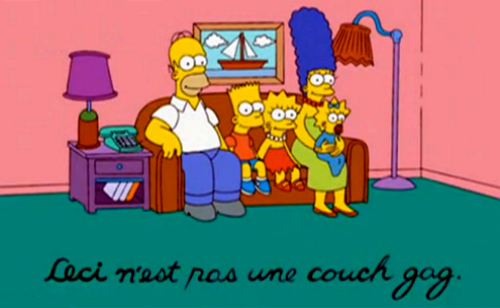 Ceci n'est pas une divan, bank gag. . Wallpaper and background images in the The Simpsons club tagged: couch gag intro. This The Simpsons Screencap contains anime, grappig boek, manga, cartoon, and stripboek. ster WARS Meet the SIMPSONS! My top, boven 20 Simpsons episodes.